Why exhibit your nutrition or health product at the NZ Fitness & Health Expo? 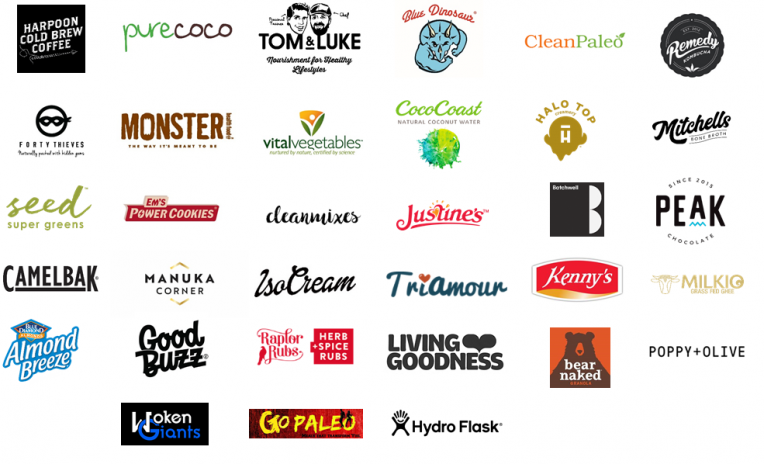 The NZ Fitness & Health Expo puts 100+ quality fitness, health & nutrition brands directly in front of thousands of targeted consumers and industry professionals – your target market! There’s no other marketing medium that can offer instant sales results, customer interaction, brand experiential marketing and product positioning to such a targeted, interactive market in a short space of time. The No.1 request from Expo attendees is consistently MORE NUTRITION. This includes healthy food products, expert advice from qualified experts, live cooking demos and more. In 2017 we introduced the Nutrition Kitchen feature, which hosted a range of live healthy cooking demos from leading nutritionists and nutrition-conscious celebs. The Nutrition Kitchen is HUGELY successful and we continue to build on this momentum for 2019 and beyond. As a result of this, we’ve added more stand space options for Nutrition focused companies so we can cater to what our target audience are wanting by offering more healthy food products. Showcase your brand and product at the Expo to capitalise on this opportunity! Whether you’re a start-up that’s just launching your company or an established business introducing new products, conducting market research, gathering data or looking to grow market share, the Expo provides a unique opportunity to sample, sell and connect with your target market over one weekend. Exhibiting your product at the NZ Fitness & Health Expo is one of the most cost-effective ways to achieve your sales and marketing objectives in the New Zealand market. This multifaceted event offers your brand the opportunity to engage directly with thousands of target consumers. Achieve real time results, short-term and long-term sales and marketing objectives in only 2-days! As a highly sought after product, there are additional opportunities available that can offer further exposure for your product, including exclusive product sampling, exposure within the popular Nutrition Kitchen and more. We’re happy to discuss options with you to maximise your reach in the lead up to, during and after the Expo. WANT TO KNOW MORE ABOUT EXHIBITING IN 2019?